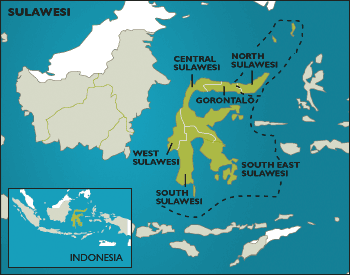 Indigenous people living on ancestral lands in Rawa Aopa Watumohai National Park, Southeast Sulawesi, were forcibly evicted from their homes in November by a security team including police and military personnel. This is the short version of a paper prepared by Nostromo Research for Down to Earth and Minewatch Asia-Pacific, July 2000, revised November 2000. PT Inco Indonesia, subsidiary of Canada-based Inco Ltd, has come under fire from indigenous communities and the local government over the company's nickel mining operations in Sulawesi. Environmental NGOs JATAM and WALHI have exposed the long-running problems of pollution near the site of US-based Unocal's oil and gas terminal. On February 11th heavy rains caused a spillage from the company's waste facility at Tanjungsantan on the East Kalimantan coast.